Glimpse scenic rock formations, bird flocks and a host of natural wonders as you brave the Trisuli River! it was so much fun..you could ask for nothing more! rafting was around 25kms along the trisuli river. the flow was normal and we covered in two hours,lunch was also good! it takes three hours to reach trisuli from thamel, Kathmandu. guide was very comfortable to speak with. altogether it was awesome! 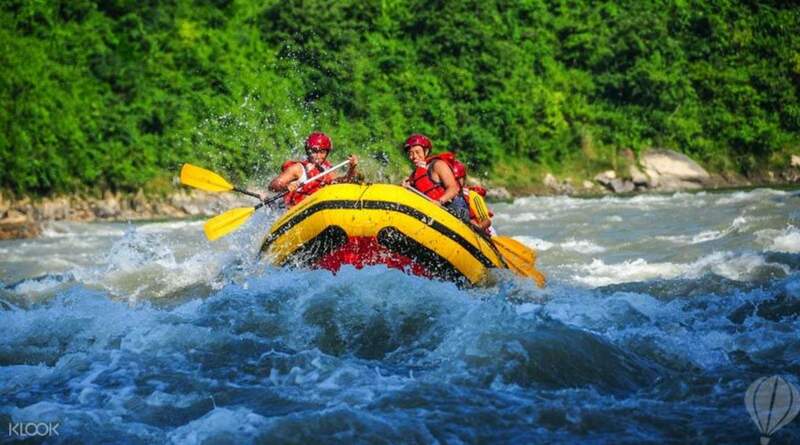 Get a taste for the famed river rafting spot in Nepal: the Trisuli River. With origins in the Himalayas, snaking through to the nation's southern plains, the river is rife with scenic gorges, rock formations and local villages, as well as flocks of native and migrant birds. 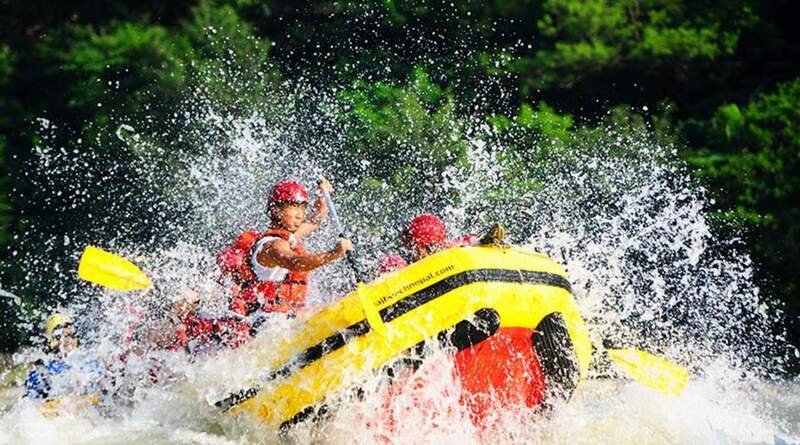 Savor a rush of adrenaline as you paddle through foamy white water and feel the power of the rapids, fascinatingly named: Ladies' Delight, Monsoon, Upset and Surprise! 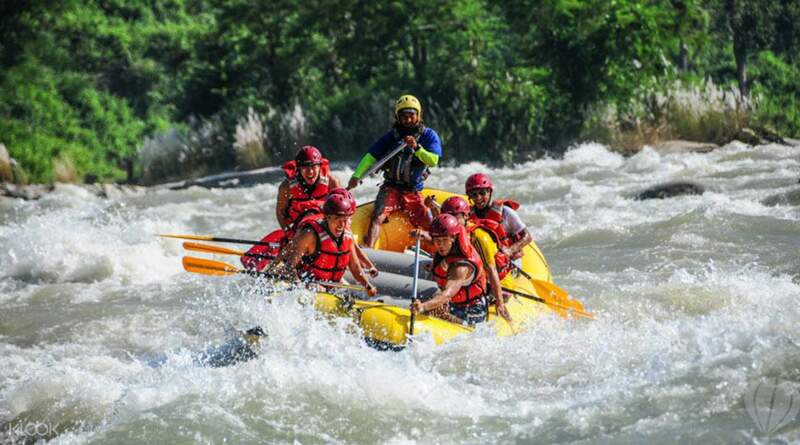 Those trying out whitewater rafting for the first time need not worry, as the Trisuli offers the perfect rapids for beginner to intermediate participants. 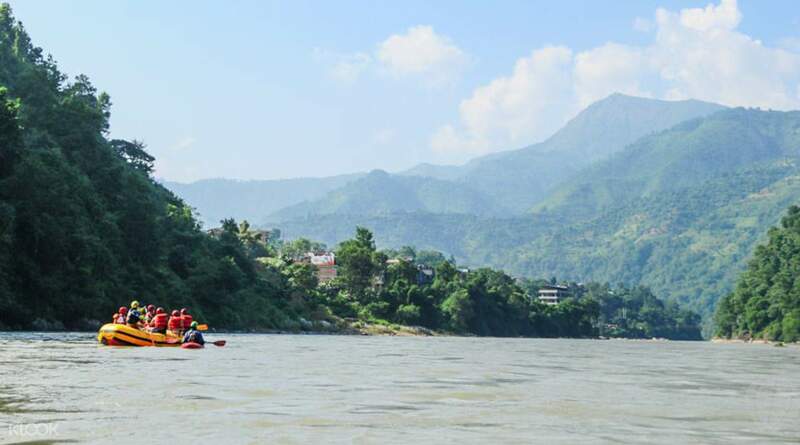 It's also the better way to get from Kathmandu to Pokhara – instead of taking a flight or drive, why not enjoy an exhilarating waterborne journey from one city to the other? it was so much fun..you could ask for nothing more! rafting was around 25kms along the trisuli river. the flow was normal and we covered in two hours,lunch was also good! it takes three hours to reach trisuli from thamel, Kathmandu. guide was very comfortable to speak with. altogether it was awesome! it was so much fun..you could ask for nothing more! rafting was around 25kms along the trisuli river. the flow was normal and we covered in two hours,lunch was also good! it takes three hours to reach trisuli from thamel, Kathmandu. guide was very comfortable to speak with. altogether it was awesome! 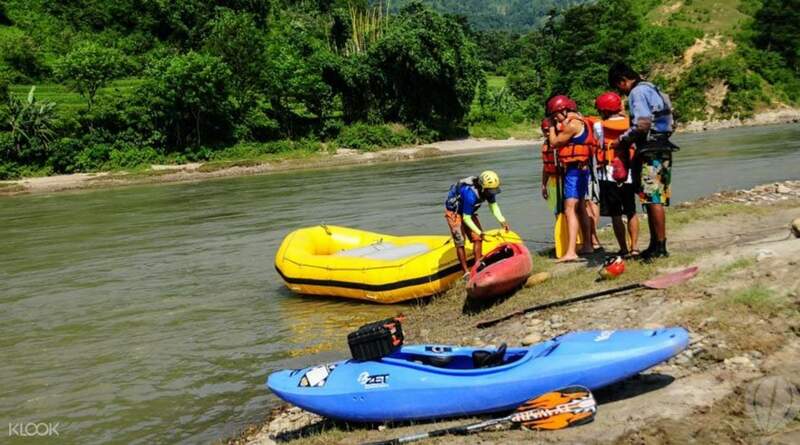 I've never had a rafting's experience, so when I and my other four friends of mine arrived at the site where the rafting vould have to start, I was so excited that I couldn't wait a minute longer to sail the river. When everybody had put on the safety jacket, the commander trained us how to pull a good oar when we would have heard his orders; above all we had to row a fast stroke in proximity to the rapids. Actually, as soon as we sighted the rapids, at first we used to laugh, then, when we were in, our faces betrayed the dread and we were not able to stroke. We sailed for 24 Km. and we overcame about 10 rapids, I can say with a lot of fun. I also had a bath into the river; the landscape around us was very beautiful. After the 24 Km. the company that organized the rafting, offered us a good Nepalaise lunch. I've never had a rafting's experience, so when I and my other four friends of mine arrived at the site where the rafting vould have to start, I was so excited that I couldn't wait a minute longer to sail the river. When everybody had put on the safety jacket, the commander trained us how to pull a good oar when we would have heard his orders; above all we had to row a fast stroke in proximity to the rapids. Actually, as soon as we sighted the rapids, at first we used to laugh, then, when we were in, our faces betrayed the dread and we were not able to stroke. We sailed for 24 Km. and we overcame about 10 rapids, I can say with a lot of fun. I also had a bath into the river; the landscape around us was very beautiful. After the 24 Km. the company that organized the rafting, offered us a good Nepalaise lunch. Rafting coach is awesome . Super nice and very clear instruction. Rafting coach is awesome . Super nice and very clear instruction. Not bad! All Workers there are really kind and passionate. Not bad! All Workers there are really kind and passionate. We got charged extra $50 for opting to be dropped at Pokhara, even though there is no mention of extra surcharge while booking. Our tour guide, "Epic adventures" emailed me 20 hours before the start to inform us about extra charges to drop us at Pokhara, else they would drop us back to kathmandu, even though we were closer to Pokhara than Kathmandu and opted for Pokhara drop at the booking time itself. Since this notice of extra charges was less than 24 hours before the start, we couldn't cancel from the app. Klook support was so terrible that I wrote to them immediately but didn't receive any response for days until after this incident. So I was forced to pay extra $50 (read: extortion money). Never booking from klook again. We got charged extra $50 for opting to be dropped at Pokhara, even though there is no mention of extra surcharge while booking. Our tour guide, "Epic adventures" emailed me 20 hours before the start to inform us about extra charges to drop us at Pokhara, else they would drop us back to kathmandu, even though we were closer to Pokhara than Kathmandu and opted for Pokhara drop at the booking time itself. Since this notice of extra charges was less than 24 hours before the start, we couldn't cancel from the app. Klook support was so terrible that I wrote to them immediately but didn't receive any response for days until after this incident. So I was forced to pay extra $50 (read: extortion money). Never booking from klook again. Thank you for raising your concern to us. Thank you also for leaving this review and we take your feedback extremely seriously. Please refer to the How To Use section on this activity since it was mentioned that there would be additional charges if hotels are outside the Kathmandu city limits. Your understanding will be much appreciated. Thank you for raising your concern to us. Thank you also for leaving this review and we take your feedback extremely seriously. Please refer to the How To Use section on this activity since it was mentioned that there would be additional charges if hotels are outside the Kathmandu city limits. Your understanding will be much appreciated.